One of the other must-haves at NYE are a little adult cocktails! 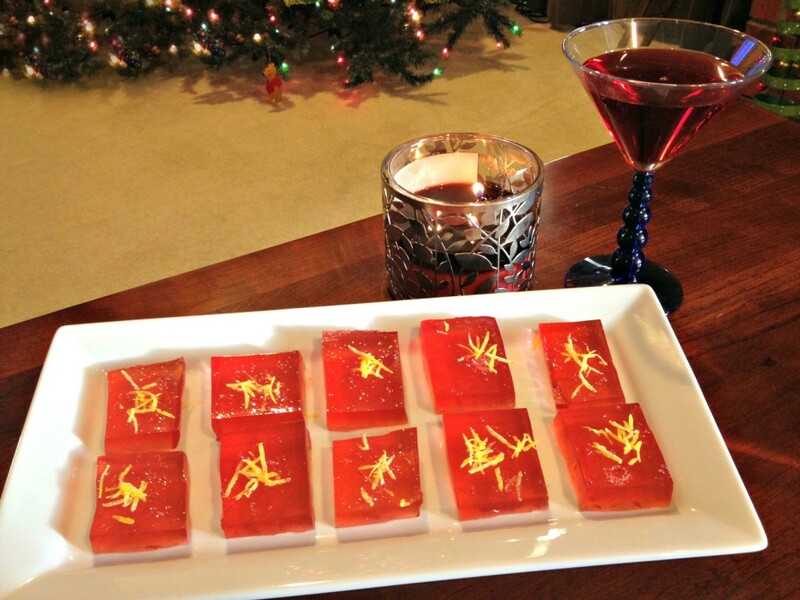 Even if you can’t imagine trying to sip your “so-sophisticated martini” with two kiddos running around the house, consider taking down a few Cosmopolitan jello shots courtesy of Shannon at “Milk and Cuddles.” I can attests she made these a few weeks ago and not only were they delicious and easy to devour…making it possible to have a little adult beverages without keeping them around the house with the kids! The best part was the orange zest on top. Get the recipe for Cosmo Jello Shots on MilkandCuddles.com. NYE 2013: What’s Your Resolution?